Gear Best has the multi-function credit card multi tool for just $0.10 + Free Shipping when you use the coupon code KUKRI at checkout. Best Buy is selling Apple Watches for $49 when you purchase an iPhone 6s or 6s+ with a 2-year contract, lease or monthly installment plan. 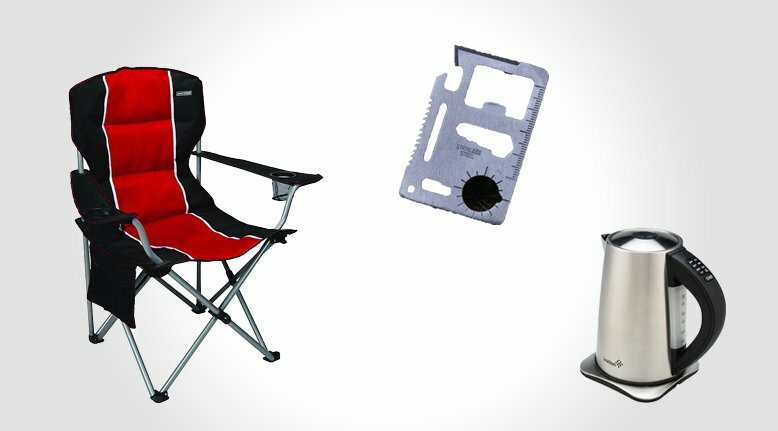 Sears has a Craftsman Padded Folding Camping Chair for only $19.99 with free store pickup. Lowes is selling the DEWALT 100-piece Screwdriver Bit Set for only $22.98 with free in-store pickup. The list on the set is $50 , and Amazon has it for $40. For Today Only Amazon is selling the 1.7 Liter Ivation Stainless Steel Cordless Tea Kettle for only $49.99 + Free Shipping. This is 62% off the list price of $130.